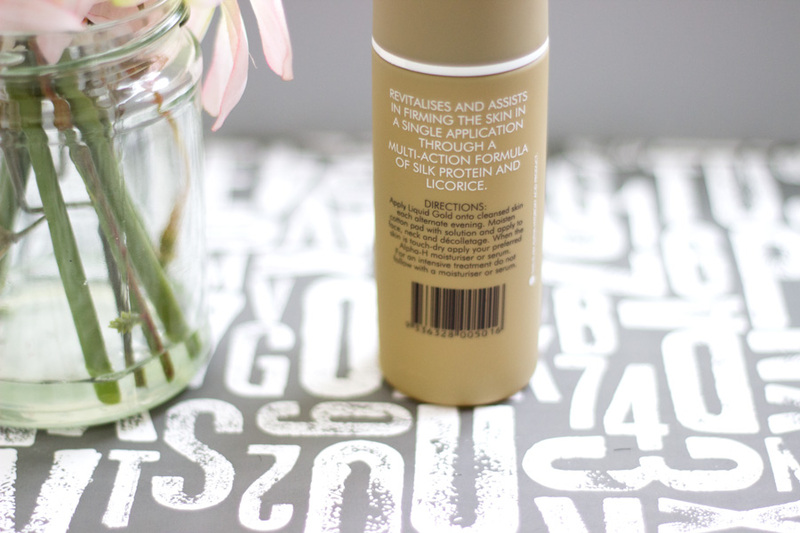 I think I may have come across Liquid Gold on Caroline Hiron's blog a little while ago and I was quite intrigued. I went ahead to google it and saw many raving reviews so it went straight to the top of my wish list. I really wanted to try out a mini bottle first before investing £33.50 on the full size but it didn't happen. I always check out Cult Beauty and Beauty Bay on Instagram for any offers or discounts and that's how I knew that they had a 2 for 1 deal on Liquid Gold. Cult Beauty had the offer first so I purchased one set and loved it so much but the offer had ended before I got a chance for backups. When Beauty Bay had a similar offer, I snapped up another set and that's how I came to own 4 bottles of Liquid Gold and I have no regret whatsoever. Seeing that I have already finished one bottle and I am well into the second one, I thought I might just share my thoughts on them. I do have to say I was surprised that it was a plastic bottle but a really good quality plastic I have to say. I don't know why I thought it was going to be a glass bottle but I guess it's hard to tell from the pictures on the website. It has a white outer package which tells you more about the product and the bottle in itself is a goldish brown one. It has a removable cap which gives way to the bottle with a flip lid. I do have to say it is quite secure when travelling and I have not had any accidents/spillages. Over time, I have come to appreciate the packaging but I was not impressed the first time to be honest considering its retail price. Somehow I think the choice of packaging material may have something to do with ensuring the contents are stable so I am not too fussed anymore but don't quote me on that. Inside the bottle, you get 100ml of product which I think is reasonable considering that a little goes a long way. Each time I come across a product that has so many raving reviews I always check out the ingredient list. 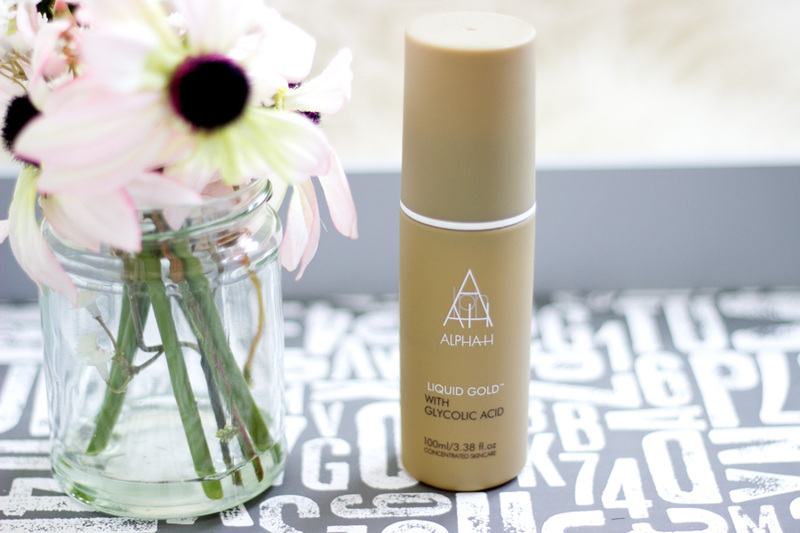 I am sure everyone knows that Liquid Gold contains Glycolic Acid (5%) which is why I purchased it in the first place. 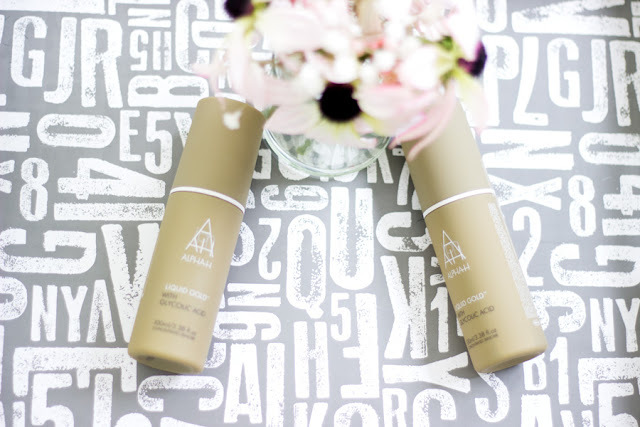 Glycolic Acid is an AHA (Alpha Hydroxy Acid) which has many benefits including reducing the appearance of pigmentation. It also contains Silk Proteins and Licorice which also help with the skin's renewal process. I have to mention that it also contains alcohol and I guess this is why it has quite an annoying tingling sensation when you just commence using it. 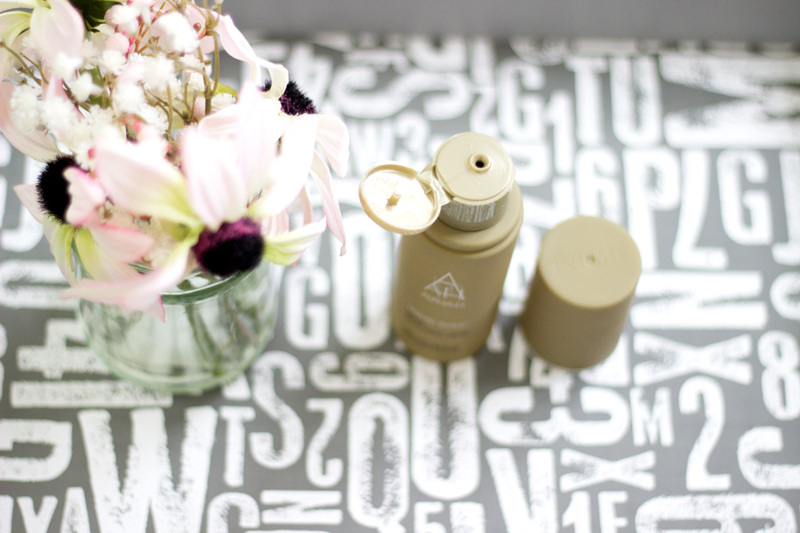 I already mentioned that Liquid Gold is more of a treatment rather than just a toner. Alpha-H recommends that it should be applied on cleansed skin on alternate nights. They also recommend using it alone (i.e. no further follow up with a serum or moisturiser) to get a more intensive treatment. 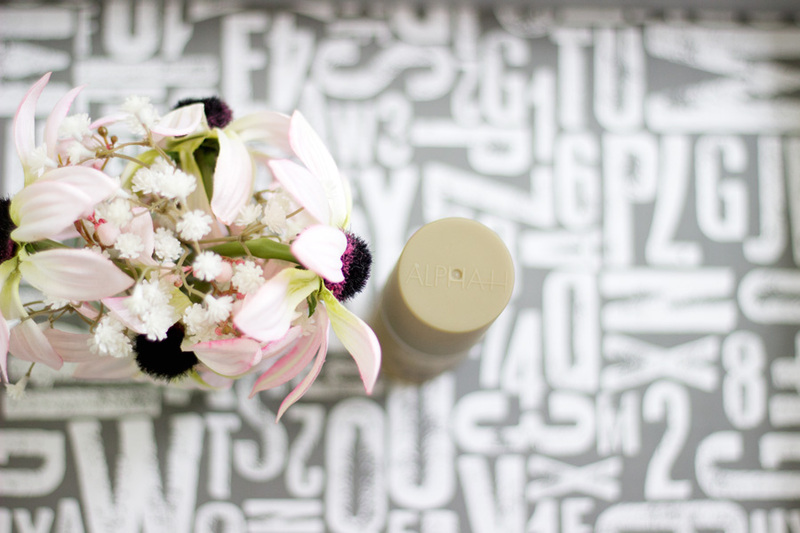 Of course, you can still use a serum, moisturiser or your normal skincare products after use if you prefer. I have used it in several ways with good results. When I first got it, I cleansed my face as normal and applied a little amount on a cotton pad across my face. You guys, it was very tingling (read: almost painful). 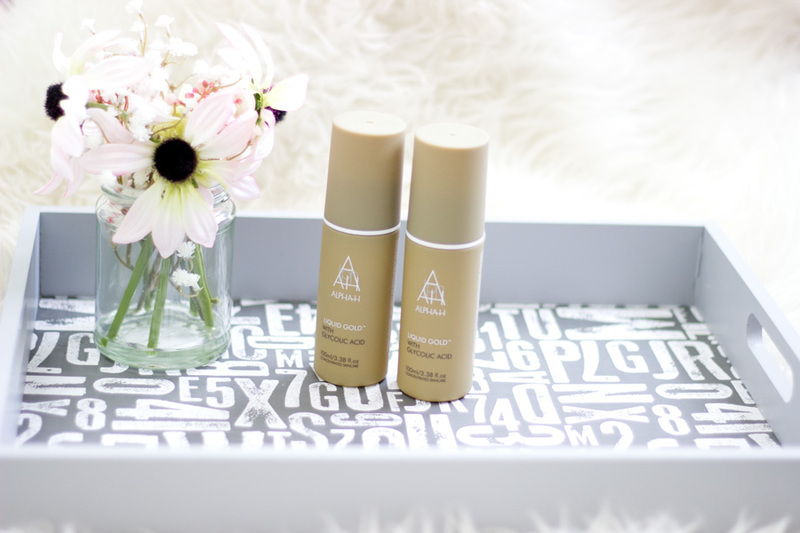 I was quite surprised because I have used other products like the Pixi Glow Tonic and Nip & Fab Glycolic Fix Serum that both contain 5% Glycolic Acid without the extra tingling sensation I was feeling. I am sure there is something in the Liquid Gold formula that sets it apart from the other two. 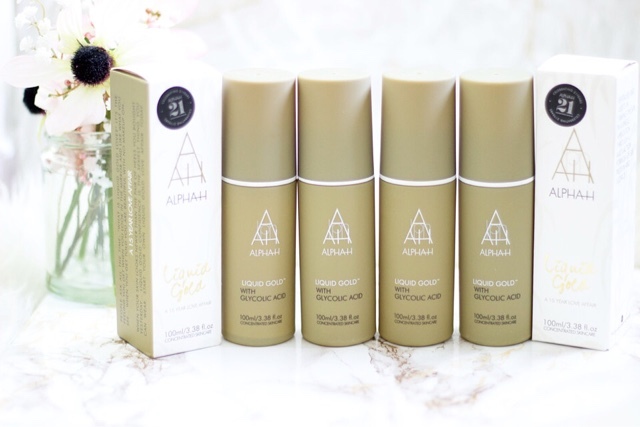 The first few weeks, I had to spritz my face with a facial mist because it was a bit too much for me and I also followed up with my regular skincare. After the first week, the tingly sensation greatly reduced or maybe my skin got used to it. I used it on alternate nights but progressed to using it a little more than alternate nights (but not quite every day). Surprisingly, it does not dry out my face at all in fact my face feels quite hydrated after use and I am pleased about that. I know it is recommended mainly at night but I have used it a few times during the day however, I always make sure I wear sunscreen as AHAs make the skin photosensitive. You know when a product is hyped by many bloggers and the general public, you just want to try it out to see because you have doubts. Well, be rest assured that this is not a pointless hype as Liquid Gold is really effective. 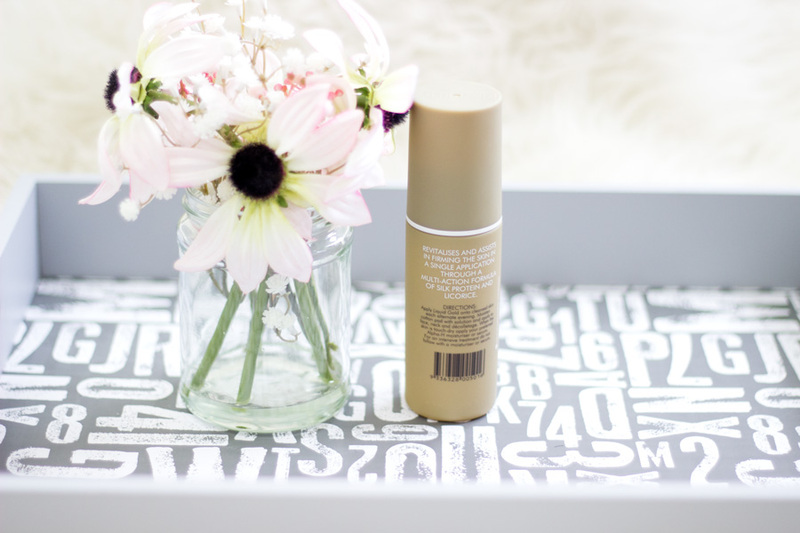 I saw results from the first week as my skin was soft and the texture had greatly improved from little bumps and rough patches to a smooth one. The hyper pigmentation marks on my cheeks are well on their way out and I am very delighted. I am talking about those older dark hyper pigmentation spots I thought would never disappear and now seeing them fade makes me really happy. 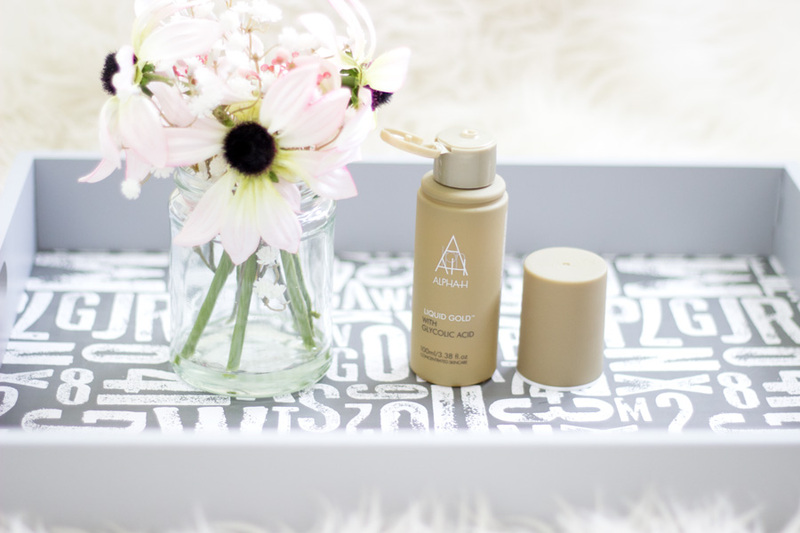 While I don't 100% attribute all the results to Liquid Gold because I was using other amazing skincare products as well, I definitely know Liquid Gold played a huge role. If you have sensitive skin or you can't tolerate very tingling sensations, the Liquid Gold may not be for you however you can always try out a mini sample and test it out. For all we know, you may feel the benefits outweigh the initial uncomfortable tingling sensation. I was very lucky that I got the 2 for 1 deal which is how I came to own four bottles of Liquid Gold. I already mentioned that Beauty Bay and Cult Beauty had the 2 for 1 offer and I snapped up both deals at different times. If I ever see the deal on again, I will ad the link to this post. It's also useful to keep an eye out for online discounts from the above retailers as you could save some money off your shopping. 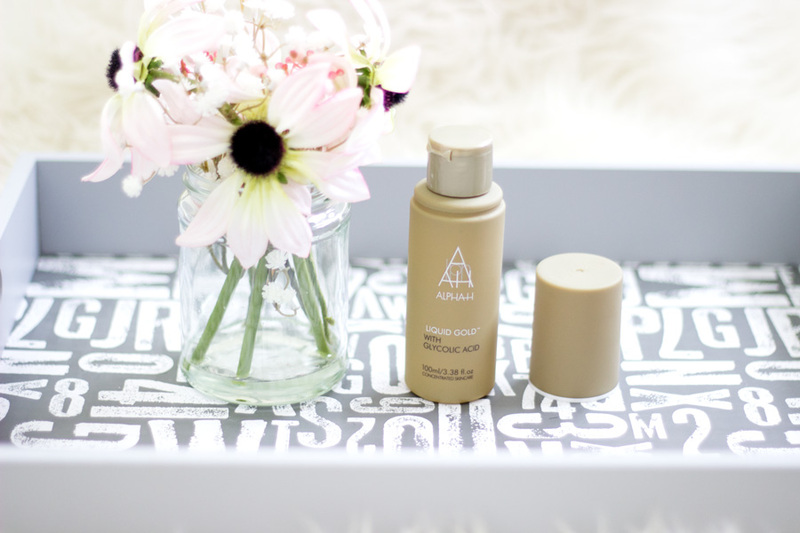 You can also purchase Liquid Gold from Marks & Spencer and of course directly from the Alpha-H website. 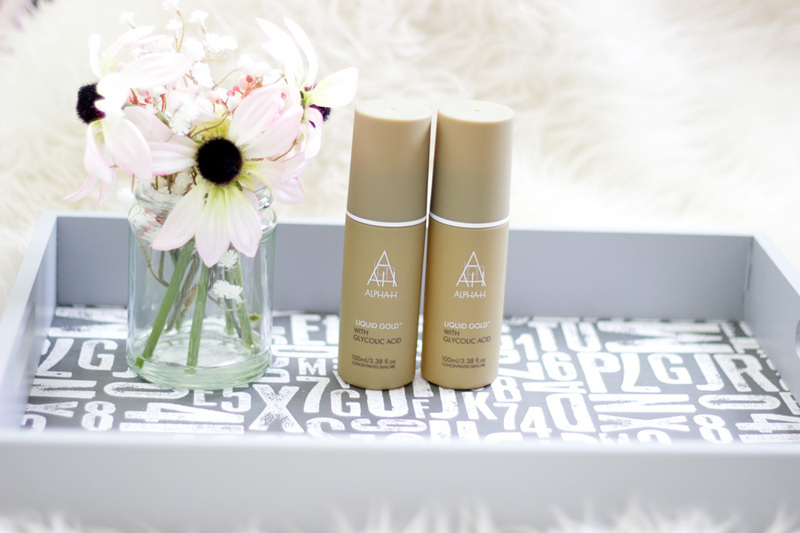 I am just so pleased I got my hands on this beautiful best selling product from Alpha-H and it is worth every penny I spent. 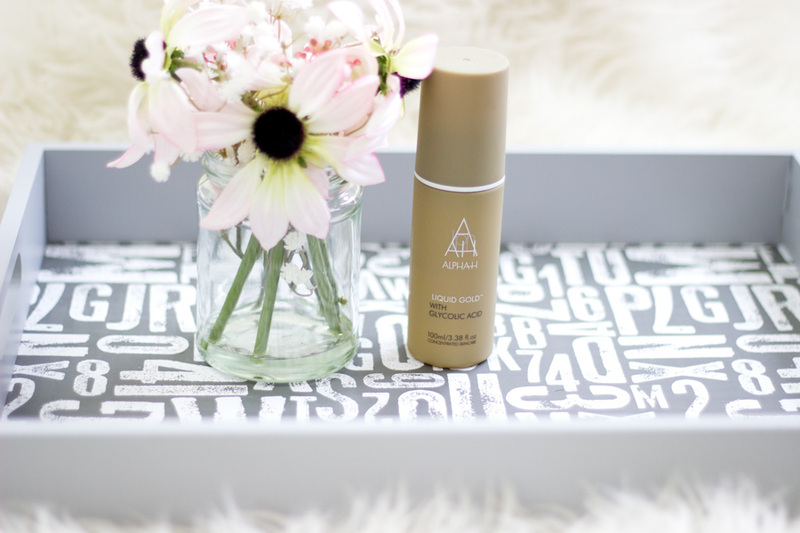 The results I got are very impressive and I will recommend it to anyone who has issues with hyper pigmentation regardless of your complexion. I would also recommend it to matured ladies who are after skin renewal as it is quite a power exfoliator and helps brighten the complexion (and also gives a glow). It requires consistent use to see good results and I am still using it till this day. I really don't know what else to say asides from how obsessed I am with it. 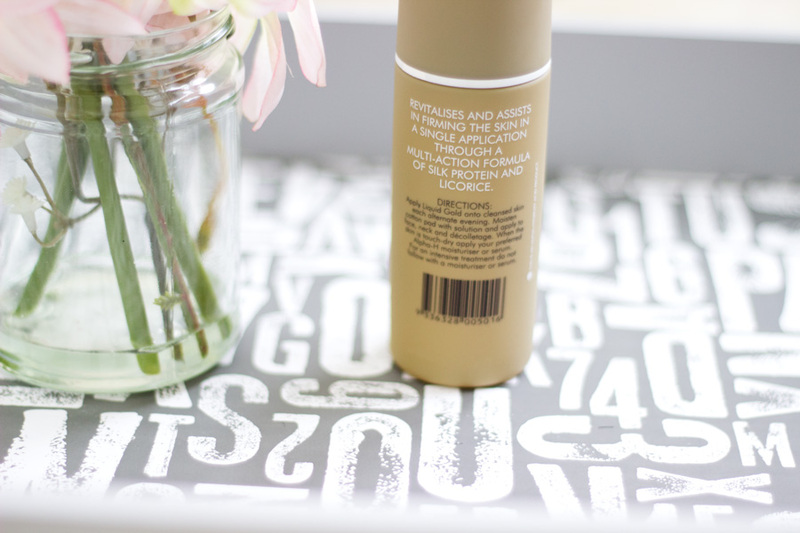 I am definitely looking to try other products from the range to see if they are as effective as Liquid Gold. That's pretty much all from me. Have you tried Liquid Gold?